Bringing New Ideas to an Old Genre. 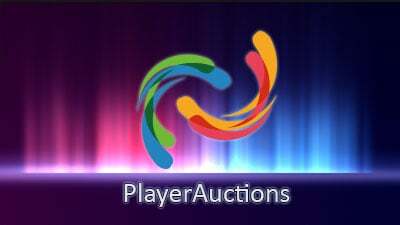 Another MMORPG is now listed on PlayerAuctions. We are pleased to announce the launch of WildStar Online to the PlayerAuctions Marektplace. The MMORPG takes place on a re-discovered planet called Nexus. Nexus was once inhabited by the Eldan, a powerful yet mysterious race who have now all but disappeared. Despite their dissappearance they only secrets, treasure and technology as their legacy. Left behind and fighting for the power and secrets that nexus holds are two factions; the exiles and the dominions. A rag tag alliance of refugees, outlaws and mercenaries they maybe. But they share a common bond of all being driven from their homelands by the Dominion and choose now to unite to face their foe and set up a new home on Nexus. An intergalactic empire who have ruled the galaxy for 2,000 years. Nexus and the mysterious power and secrets that lie within is claimed by the Dominion as the latest addition to its ruling empire. Boasting an innovative combat system and a refreshing art style, many have have been waiting patiently for the release. Exiled Humans – Maveirkcs. Danergously so. Granok – Rock Skinned, beer drinking mercenaries. Cassian – Histroically partners with the Eldan. They seek to claim what is theirs. Mechari – Killing machines made by the Eldan. From dreams of expansion to an expedition, from analysis to assassination Wildstar Online provides 4 different paths for your to select. Are you an Explorer, Scientist, Settler or Soldier? Each path selected provides custom content designed to your playing style. PVP modes vary greatly: small teams of 2v2 or 5v5 can fight each other, Battlegrounds fight up to 15 per team where as war plots are 40 vs 40. We may need to lie down! One of the wildstar online game’s major selling points is its robust movement system. Instead of the traditional point and click movement system prevalent in most MMORPGs, WildStar Online gives full control of the character to the user. The game’s controls are reminiscent of third person shooters with characters being able to double-jump, dash and sprint. The game also implements speed races and jumping puzzles that take advantage of this system. Players can win WildStar gold and items through these. Complementing the movement system is a telegraphed combat system. Attacks and skills used by both enemies and players have indicators. This makes combat much more intuitive as players who wish to avoid attacks simply need to move their characters out of range. Player skill also becomes a huge factor as timing and proper location affects your WildStar online gold hunter’s overall effectiveness. The main currency of the game is WildStar gold. Players will be able to acquire this as rewards from WildStar Online’s many quests. Items can also be sold or bought with the currency. Another way to gather money in the game is through WildStar trading of items and gear. As with most MMORPGs, Real Money Trading (RMT) is something WildStar Online will have to deal with. The developers and publishers, however, have come up with an elegant and community-friendly solution to the issue: the C.R.E.D.D. While players can pay a monthly subscription, they can also purchase this item with WildStar gold to add 30 days of play time to their account. The item has no fixed in-game price and it is entirely up to the players who bought the item with real cash on how much they will sell it for gold. This effectively gives players a way to control the exchange rate for RMT via digital trading platforms. The MMORPG genre can quickly stagnate, but WildStar Online proves a welcome breath of fresh air. The wait was definitely worth it and without saying too much…expect the unexpected.